If you want to make a beautiful light summer jewelry piece, then have a look at these earrings. You’ll need 22 gauge wire, 6mm amethyst rondelles and tools. First cut your wire into pieces, bend each wire in the center. 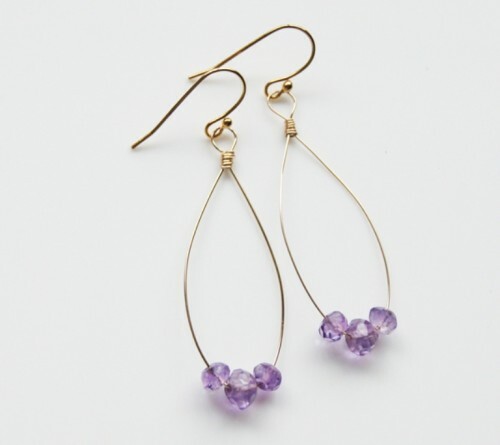 Add 3 amethysts to each wire and shape the ends to your desire. Fold the left side over the ride side wire to keep it stable. 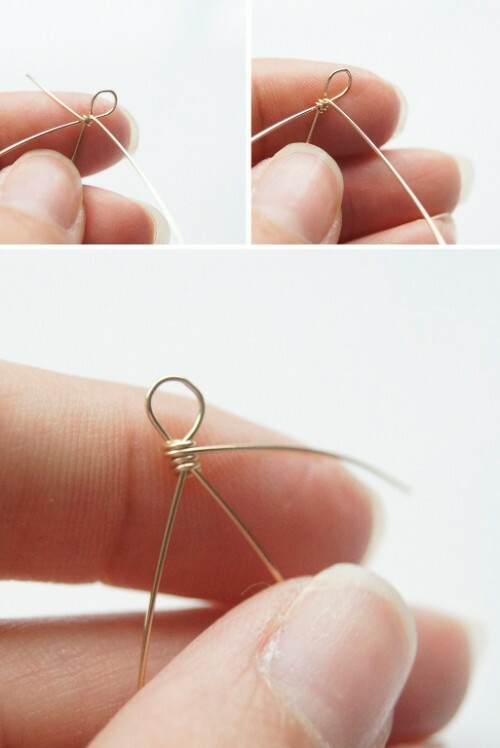 Make a loop into your right side wire, wrap your right side wire around twice, and cut off the left-over piece. 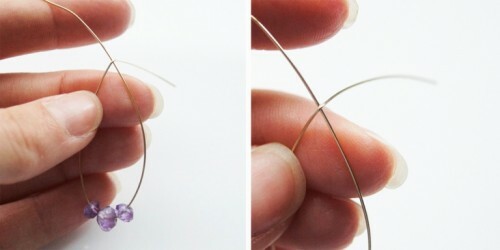 Take your left wire and wrap it around so that your wire end is in between each wrap. Don’t forget ear wires to complete the earrings and you’re done.